The Crazy Horse Memorial is the largest mountain carving in progress. 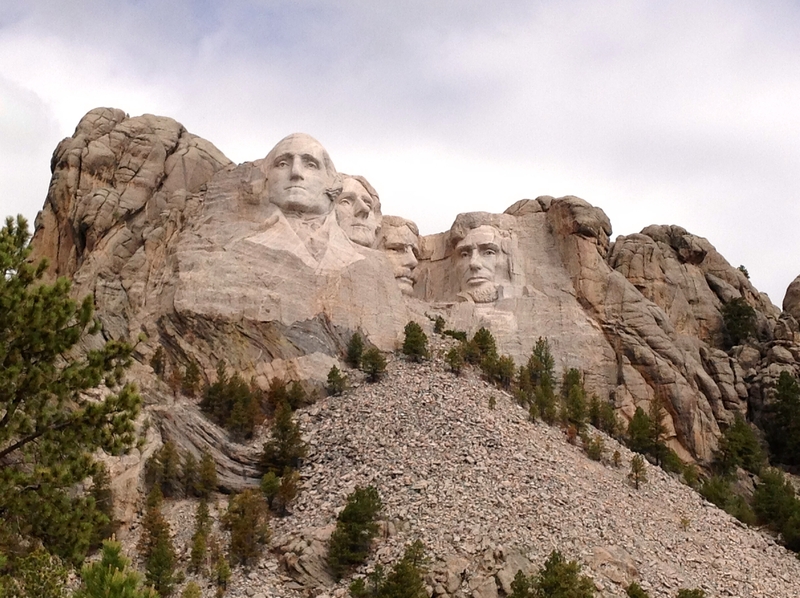 All four of the 60-ft heads from Mount Rushmore would fit inside Crazy Horse’s head. The carving is 641 ft long and 563 ft high. Although the sculptor, Korczak Ziolkowski, died in 1982, his wife and 7 of his 10 children carry on the work and the dream. All of the money used to finance the project comes from private donations and admission fees for the attractions related to the monument. Even though Korczak was offered $10 million in government funding on two separate occasions, the Memorial organizers refuse to accept any government funds. So why, if the organizers are needing funds would they turn down such a generous donation? Why would anyone in their right mind refuse to accept help that is offered for something of that magnitude? It could be that the Memorial organizers understand the value of allowing (or not allowing) someone else to have influence over them. It could be that they grasp the concept of caution when allowing someone to speak into your life. Wow! Although the man of God did as the LORD commanded him in the face of Jeroboam, he failed when it came to the “harmless” request of the old prophet. It was that failure that cost him his position, his heritage, and his life. So what does this say about how you should react when someone speaks into your life? Does that “word” reinforce or contradict what you know to be God’s will? Has the still, small voice of God already spoken to your heart something that you feel someone else is trying to divert you from? Is the person speaking to you someone you know to be a person of integrity and Godliness, or an “old prophet” who will say anything hungry and eager ears want to hear? Prove. Has the person speaking proven themselves to be a person of integrity and Holy-Spirit power? Prayer. Take the time to pray about what you have heard. Ask God to guide you in His wisdom. Peace. Allow the peace of God to be a sign that what you are hearing is from Him. Make sure that any “word” you are given is from God. If it’s not, even the most “well-intentioned” word can become a curse.